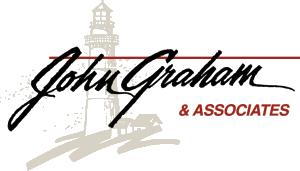 Mission Statement : John Graham & Associates, Inc.
We work together as a co-responsible team to improve our client's unique financial situations. We provide education, service, and guidance that is unbiased, fair, and ethical. We embrace challenges as opportunities for growth from which the positive impacts are generational. We provide our clients with a steady, guiding partnership, our community with the help it needs, and our team with the job satisfaction that is earned everyday. We value our communities, our co-workers, and most of all our clients and the faith they have in us.